Too slick for exercise on carpet or bare floors. 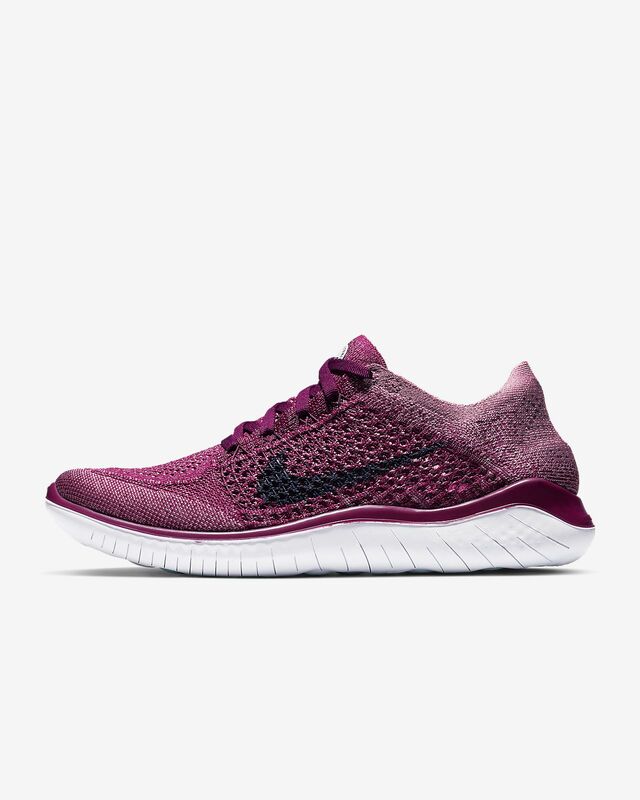 I love my older Free Flex Flyknit, so I purchased the 2018 version now that the insole feels uncushioned. The outsole still looks new, so it seems durable. I use it for cross-training indoors but have walked in it for 3-4 miles at a time. I don't run any more. 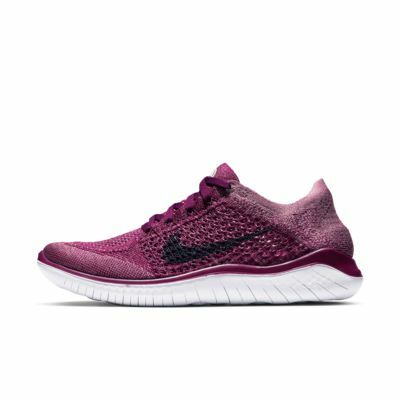 At the beginning of the year, I bought Lunarglides from the Nike Outlet locally, since they were recommended for HIIT and weight-lifting, but they were ghastly with their thick wedged sole. Differences: 1. The green, older version, has a more-pointed toe. 2. The green shoes ran larger, so my left foot always felt too loose. 3. The green shoes have a rounded shoelace, and it ties almost too tightly and constricts blood flow if I am not careful. 4. The ice blue 2018 shoe seems to fit better on both feet, and the flatter shoelaces are more comfortable. 5. Walking in them is fine on a road but definitely not on bare floors. It's scary, and now I wish I had tried a different model. Be WARNED. 6. The arch is not as high on the new model. I don't know if that matters to me. I have been too leery of fast movements to fully examine that feel. 7. Also, it takes forever to insert my foot in the shoe. The back edge seems even thinner and rolls in when I try to put it on. Very frustrating. I am starting to hate the shoe. 8. There is a large gap between the heel and back of the shoe. It doesn't affect the fit once I put them on, but perhaps that is why the fabric rolls in.